Covering The Village of Royal Palm Beach and the neighboring communities of Loxahatchee and The Acreage, Royal Palm Beach Online is Royal Palm Beach's online newspaper and tourism guide. Along with news stories and feature articles, Royal Palm Beach Online provides the best guide to the Village and surrounding area, including descriptions and photos of businesses, restaurants, hotels, parks, museums, historic sites and other attractions of interest to residents and tourists. Known for its many parks and green space, the village of approximately 35,000 residents in southeast Florida is located 12 miles from the Atlantic Ocean in Palm Beach County, offering a variety of activities for the outdoor and sports enthusiast, including several world-class golf courses and one of the largest and renowned equestrian centers in the world, the Palm Beach International Polo Club. 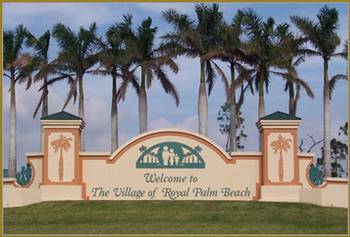 Royal Palm Beach is known for its small town atmosphere, family living and culture while maintaining its identity within one of America's largest counties. The Village has been named one of the 10 best towns for families, according to a new national survey. In addition, Family Circle magazine recently named Royal Palm Beach in its annual list of the best places to live among communities with populations between 15,000 and 150,000 people. The magazine, which reports a circulation of nearly 4 million, ranked towns based on their schools, affordable homes and green initiatives.